Nevada residents who have done their estate planning some time ago may remember it as a tedious and time-consuming task. However, not reviewing it at regular intervals may result in some of the documents becoming outdated and no longer in compliance with current laws. Life changes may have occurred that may bring about necessary adjustments, such as divorce, deaths and births. Estate planning that was done properly, covering all aspects, may only need small adjustments on an annual basis. Important areas to revisit include designated beneficiaries, and whether the recorded choices still reflect the individual’s wishes. Similarly, one may want to confirm that chosen estate executors and powers of attorney are still capable and have not relocated. It may be a good idea to consult with a financial advisor to verify that legal requirements for documents have not changed, rendering existing documents outdated and no longer binding. Evaluation of life insurance may show that adjustments are necessary, and individuals who have not previously considered long-term care insurance may find that now could be the time to add it. Other areas to revisit are assets and business interests that may have changed since the original documents were drafted. Failure to stay current with the legal aspects can leave loved ones with unnecessary problems. Updating a will and testament and a letter of instruction every few years could avoid anything being contested upon one’s death. 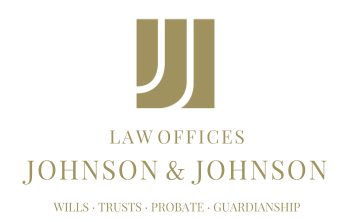 Nevada residents may want to keep in mind that the purpose of estate planning is to protect one’s assets and interests, along with those of the loved ones who will be left behind. Failing to do estate planning, or occasionally reviewing it, may leave the decision of how to divide assets up to the courts. Putting together a team of advisors may serve individuals well in properly reflecting their wishes in all aspects of estate planning.